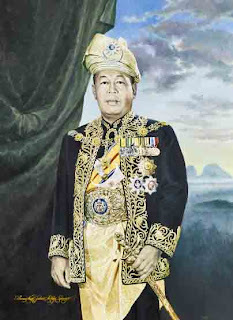 Al-Marhum Tuanku Syed Putra Jamalullail. 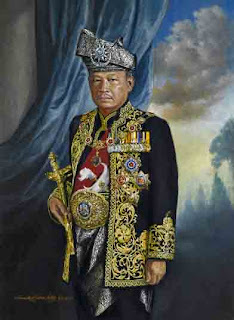 Malaysia is unique because she is the only nation in this world which has a five years rotation system in her Kingship. 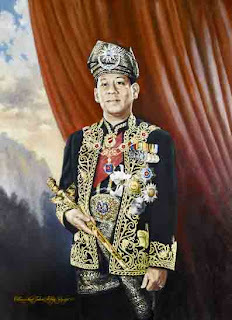 Nazri had recorded all the Royal portraits for the county's historical archive. Not many have the chance to see these paintings as they are hung and kept in various palaces. 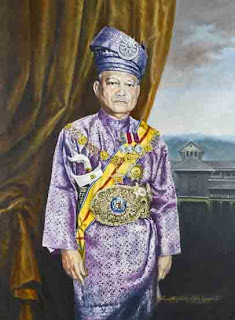 In addition to the Royal Selangor portraits commissioned he also had painted 14 portraits of DYMM YDP Agong from first to present plus two portraits of Permaisuri Agong, for Istana Melawati, Putrajaya. In mid 2005 he managed to deliver all the portraits commissioned on time. 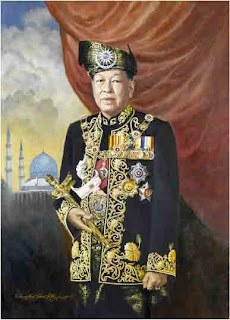 ibni Al-Marhum Sultan Hisamuddin Alam Shah Alhaj. 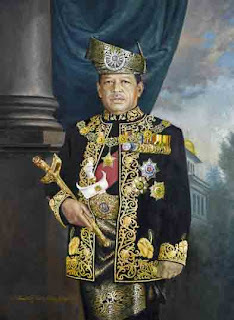 ibni Al-Marhum Sultan Yussuf Izzuddin Shah Ghafarullahu-lah. 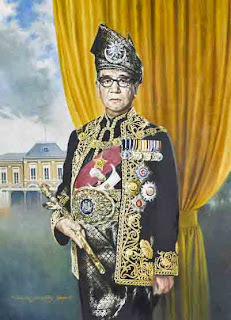 ibni Al-Marhum Sultan Sir Ismail. 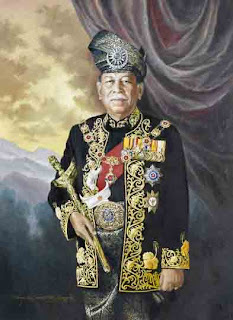 As a royal painter Nazri hardly have much time to spare. He was so worry that he could not deliver his works on time. That was why he was constantly living under pressure and always stressed up. 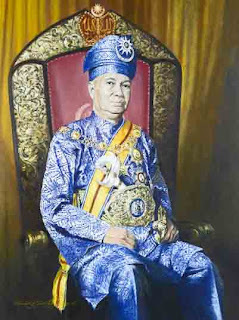 Al-Musta'in Billah ibni Al-Marhum Sultan Abu Bakar Ri'Ayatuddin Al-Mu'Adzam Shah. S.P.B. 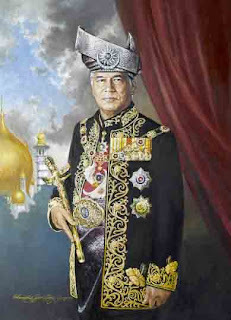 Al-Marhum Tuanku Yahya Petra ibni Al-Marhum Sultan Ibrahim. 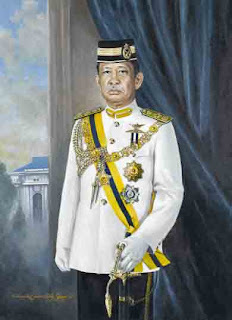 ibni Al-Marhum Sultan Zainal Abidin. ibni Al-Marhum Syed Hassan Jamalullail. When he had to meet someone outside his house he seemed very nervous and always in a hurry. The only occasion he looked a bit relax was when he attended opening of other artist’s shows which he never failed to attend. 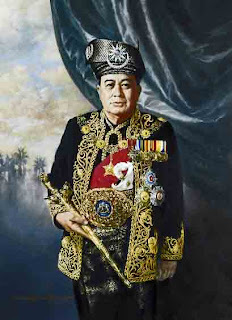 ibni Al-Marhum Sultan Alaiddin Sulaiman Shah. He is a Contemporary Artist and Graphic Designer who has a Master of Arts (MA) Art and Design Education degree from DeMontfort University, Leicester, the UK. With an illustrious career as an Art Director of various international advertising Agencies such as McCann Erickson, Idris Associates, BBDO and ends up with Ted Bates. He is also recognized by the industry as brands and packaging design expert. When he resigned from the advertising industry he revolutionized the art of Kufi Square into a most modern art in the world today. Being recognized as a pioneer in this art, at the Eastern Art Price London in 2010 he earned a position among the 15 best emerging artist from Asia. No artist from Malaysia has earned such reputation, hence is trusted by CARAN d’ACHE of Geneva to design a limited edition (101) luxury pen which he calls Kufi pen. As a professional he travels almost every year inside his country and abroad. Among the country he has visited are Thailand, Singapore, Indonesia, Australia, South Africa, India, Bangladesh, Saudi Arabia, United Arab Emirate, Greece, England, Wales, USA, Switzerland, France and China.